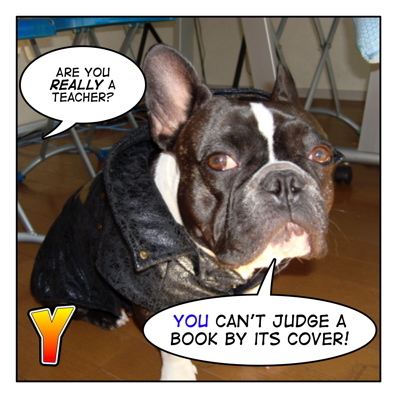 Y : "You can't judge a book by its cover!" Welcome to Maggie Sensei's blog! : "Are you really a teacher?" :"You can't judge a book by its cover!" : "Her boyfriend must be so rich! He always dresses nice and drives a nice car! I really envy her! " : "You can't judge a book by its cover. I heard he has so much debt to pay off. " ＝Don't judge a person by his/her appearance. : "Hey! Who ate my sandwich!?" 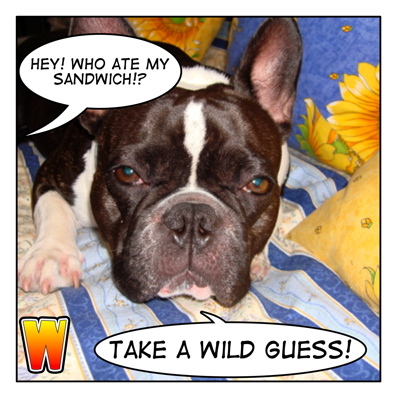 : "How did you know ate your sandwich?" : "I just took a wild guess." or "I just took a shot in the dark." : "I just took a shot in the dark"
It is just a fluke! 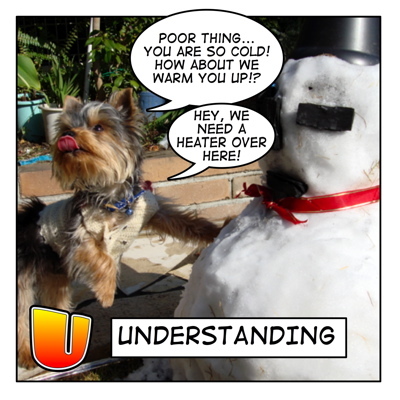 "Poor thing..You are so cold! How about we warm you up?" "Hey, we need a heater over here!" She is very kind. とかShe is very gentle. "Hmm! Smells great! Is this bone imported?" "It's just a token of my appreciation. " "Here is a token of my appreciation." "As a token of my appreciation, I would like to give you ...."